Imam Muhammad Qasim Al-Nanawtawi’s intellectual height is not limited to only Islamic religious sciences. At the one hand he is known as the most towering figure who revived Islam’s intellectual heritage in the Indian-subcontinent, on the other hand, he was also aware about the political and diplomatic loss of Muslims. He defended political and diplomatic affairs of the Muslims from Islam’s point of view. Al-Nanawtawi addressed not only the common people but also the Ulama and convinced them to raise concrete steps for defending the political hegemony of Muslims in their respective regions against the aggressive forces. This paper studies the religio-political arguments of Al-Nanawtawi, which he produced in the defense of his opinion and was successful to mobilize the larger section of elite and common Muslims in one political direction. This paper also gives a direction to develop ideas about the religio-political impacts of Al-Nanawtawi’s thoughts, which even until the modern period are most significant factor for different political movements among the present Muslim communities. The most important factor in the development of Al-Nanawtawi’s personality is his balanced thought. As a political leader, he was actively engaged in war against British imperialism and wanted to liberate his home country from external aggression and occupation. Secondly, as a social reformist he initiated several social reform movements, and thirdly as a neo-philosopher, thinker and polemicist, he served knowledge and Islamic religious sciences. Thus, Al-Nanawtawi’s entire life was focused on three dimensions. While his thoughts in religious, political and social reforms were single-dimensional and they were premised upon Islam’s fundamental teachings and traditions of Prophet Muhammad. The exceptionality of Al-Nanawtawi’s thought is its functionality in the practical fields of human life. Instead of merely philosophical ambiguity and gnomic, Al-Nanawtawi’s thoughts are pragmatic in social, religious and political arenas. 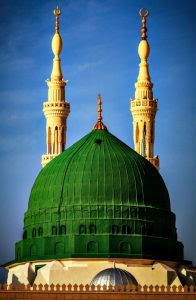 His thoughts are erected upon the paradigms from the character (sIrah) of the Messenger of God and his pious companions. In 1857 during mutiny of sepoys against British colonial regime in India Imam Muhammad Qasim Al-Nanawtawi actively participated in an armed struggle. Armed participation against British imperialism is an important chapter of his life and movements. The epicenter of the mutiny was Meerut Cantonment, where several sepoys raised weapons against their officers and killed them. This mutiny spread in different parts of North India and thus, Al-Nanawtawi did not remain uninfluenced. After the news of munity reached to Thana Bhawan, Al-Nanawtawi’s spiritual mentor Haji Imdad Allah Muhajir al-Makki was elected Amir al-Mu’minin (the leader of the believers), while Al-Nanawtawi was elected Commander-in-Chief for leading the armed struggle against the British colonial forces. During famous battle of Shamli,Al-Nanawtawi was injured, while one of his famous companions Hafiz Muhammad Zamin was killed. Eventually, the Muslim empire of India came to an end, Delhi fell to the British. Also the battle of Shamli came to an end with loss of lives to both sides. Imdad Allah left permanently to Makkah, Al-Nanawtawi was declared a rebel and sought for trial in British court, which was feared into a death penalty. On the behest of his relatives, Al-Nanawtawi went to hiding, he spent three days in hiding. After three days, he came out from the hiding and said, “I cannot spend more than three days in hiding, because the sunnah of the hiding is only three days.” This statement of Al-Nanawtawi is an evidence of his religio-political aphorism, which he developed from the example of the life of the Messenger of God. The Shamli battle did not bring desired results. Al-Nanawtawi changed his modus operandi; he alienated from direct political movement and avoided confrontation with the government, and he and his colleagues launched the movement of educational uplift of the Muslim society. Dar al-Uloom Deoband and other similar institutions were developed for protecting the religious ideologies of Muslims in India. Al-Nanawtawi though excluded politics from the curriculum of these institutions but the succinct mottoes of these institutes have broad explanations; according to the beliefs of Islam, he and his colleagues kept alive the spirit of struggle of independence and religious-political persuasions. Without thinking even a single moment Al-Nanawtawi immediately responded his question, he pointed out towards Imdad Allah Thanwi, because of his fame in Tadhkiyah and Suluk Imdad Allah was the most revered personality of his time. Hundreds of Ulama and common Muslims already had paid their allegiance to him. Al-Nanawtawi said to Imdad Allah Thanwi that he was their leader in the affairs of religion, so he requested him also to take the responsibility of worldly administrative affairs and by holding the office of the Chief of the believers to settle their differences. Ashiq Ilahi further writes that Imdad Allah had to accept their offer.At the end, Al-Nanawtawi questioned, “Are we weaker than the mujahidin of Badr?” It made Muhammad Thanwi speechless. One single sentence of Al-Nanawtawi ended the confusion and disagreement. At the home, Al-Nanawtawi feared that he could also face opposition from his mother. He did not directly inform his mother about his participation in armed struggle against British colonial forces. At the first stage, Al-Nanawtawi explained the importance of jihad against the oppressors, he explained the importance of jihad from Qur’anic perspectives and the traditions of the Messenger of God, Muhammad (Peace be upon him and mercy of God) and the Sahabah. He motivated his mother and explained about the rewards to the parents who sacrifice their wealth and children in the path of Allah. In 1874 CE (1294 AH), Imam Muhammad Qasim Al-Nanawtawi wrote a religious decree for supporting Ottomans against Russian Empire. A report (Rudad)was compiled regarding the efforts of the Ulama for collecting funds to support the Mujahidin in Balkan. These Mujahidin were the part of the Ottoman Empire and were fighting war against Russian aggression on the Balkan territories of Ottoman Empire. This report has great importance for understanding the religio-political philosophy of Al-Nanawtawi. In 1294 A.H., Al-Nanawtawi has written a detailed treatise in Farsi (Persian), in which he had explained the importance of this war including supporting the Turk-Ottoman army and especially to provide them financial support. This treatise was translated in different languages and was published in numerous newspapers and magazines. It got vibrant support from the Ottoman Empire. In the first step, this report mentioned Russian attempts on Turkish-Ottoman territories and its negative impacts including the killings of Muslim men, women and children. Later, this report mentioned the importance of the Caliph’s authority, which is very important for the safety and dignity of the two Holy Shrines of Islam in Makkah and Madinah. This report forecasted the global harm of the Muslim community if the Muslim community decentralized; this centrality exists due to the Caliph’s regime.Thus to support the Caliphate is must and compulsory. It is a religious obligation and duty, which every Muslim must fulfill. If the centrality of the Muslims is decentralized, the entire Islamic world will face the severe consequences. The Rudad (report) explained motivating factors with special reference to Islam’s teachings. This Rudad is a fine example of Al-Nanawtawi and his colleagues’ Islamic religious political ideology. It depicts their political perceptions strictly confined within the fold of religion; they did not allow any outside, secular or non-religious factor to pollute it. The first factor is counted as Islam’s urge to support the oppressed. It portrays the Turk troops as the oppressed ones who were guarded for the protection of the Holy Shrines of Islam and a war has been imposed upon them. Now their lives are under serious threat and the Muslims should firmly stand to support them in dire needs. Secondly, Muslim sensitivity on any issue related to Islam is one of the major factors behind the call to support the Turk forces.Thirdly, it motivates Muslims to pay other Muslim brothers and fellows from the bounties of God, which they are enjoying without any hindrance. At the time of hardship of other Muslims, it becomes incumbent to support them from these favors.Fourthly, it explains a hierarchy in actions, during the time of jihad the priorities are shifted. It is important to be aware about the priorities; thus, some actions become compulsorily primary and others become secondary. For instance, building mosques and serving the pilgrims can never be equal to fighting and spending in the way of God. Fifthly, the Rudad explains from the worldly and Godly point of view. In case the Turks are fighting for mere worldly and political benefits even their support is compulsory. It strictly condemns the conjectures regarding intentions of Turk troops. It belongs to God only. Even they fight for worldly political gains, their victory would be better than the victory of the infidels in all circumstances. Finally, from the then political circumstances in India this Rudad motivates Muslims to support Turks. During this war, the British regime was in support of Turks against Russia. It was a good opportunity to provide maximum support to the Turk forces. In the opinion of Al-Nanawtawi, his disciples and colleagues at that time, the most important task was to support Turk forces against Russian aggression and this task was more important than building the mosques and supporting the educational institutions. Even according to them, any other religious obligation became secondary against the support of Turks. Initiatives like building mosques and supporting educational institutions were not considered as important as to support Turkish forces, because they were seen as the catalysts that could help to maintain Islamic centrality and unity. Al-Nanawtawi decided to raise two steps in support of Turk forces and the regional Muslims in the fighting zones of the Turkish Empire. First was to provide financial support to the Mujahidin and the armed forces of Turkish Empire including the widows and orphans of the army personnel and common Muslims in Eastern Europe. This support, according to Al-Nanawtawi, would boost them on moral grounds and they will not feel themselves alone in their struggle and hardship. They should realize that their Muslim brothers in India are with them in their hardship and time of sorrow. Al-Nanawtawi was the first person who donated the first amount for the Turk forces. He donated the jewelry of his wife. This donation was given immediately after his marriage with the fair consent of his wife. The other people who were involved in collecting funds were Ahmad Ali Muhaddith of Saharanpur, Mazhar Nanawtawi and great jurist and friend of Al-Nanawtawi Rashid Ahmad Gangohi. These learned scholars of Islam have done their best efforts for collecting the funds. The collected amount was delivered to the Consulate of the Ottoman Empire in Bombay. This amount was sent in several installments. This collection was not limited to Deoband or local vicinities, on the behest of Al-Nanawtawi, it had become a national movement. Muslims, rich or poor, from each part of the country were collecting funds with zeal and enthusiasm, which was filled in them. This zealous effort was for saving and protecting the dignity of the Muslim centrality, which was associated with the centrality of the Ottoman Caliph. The total amount, which was collected and delivered to the Ottoman Consulate in Bombay, reached 1.2 million rupees. During that period, which was of severe financial scarcity and economic anarchy in India, this amount was outstanding and historic.According to the financial circumstances at that period, collection of this amount was unimaginable, even today this amount is believed to be a huge financial support to any cause. After the amounts were received at the Ottoman Consulate, the receipts were delivered to the donors with this commitment that this outstanding donation will be published in Al-Jawa’ib. Later on the amounts were received at Bab-i Aali; the then Prime Minister of Ottoman Empire Ibrahim Adaham sent a letter of thanks to Al-Nanawtawi and other elders of Madrasah Islamiyah ArabiyahDeoband (Dar al-Uloom, Deoband)on May 23, 1877 corresponding to Jamadi al-Awal 9, 1294 AH. After the success of the first step Imam Muhammad Qasim Al-Nanawtawi motivated his disciples and colleagues for raising the second step and this was to join the Mujahidin and Turkish forces in Balkan. However, in contrast to the public call of financial support by everyone and by each individual the call to fight shoulder to shoulder with the Turk forces was not made public. Al-Nanawtawi knew that each individual is not capable to join the armed jihad, this service needs specific training and energy, thus, even having the enthusiasm for an armed jihad everybody is not capable to join the Turk troops at the fronts of the war. Al-Nanawtawi further explains that an action becomes obligatory when there is a need of this action. Thus, joining troops for each individual Muslim neither is practical nor is mandatory. And in such case that the untrained individuals would bring damages more than the benefit, more important is they provide moral and financial support to the Mujahidin. In this decree, Al-Nanawtawi writes that motivating unarmed and untrained individuals for joining the troops at the fronts of war is not so important. More important is to provide the Ottoman troops with financial support. He was of this opinion that the numbers of the trained and official troops at the fronts of war is sufficient but for war expenditures financial support is obligatory. Al-Nanawtawi wrote that it is not possible that everybody can join the war and fight against the infidel forces but it is very possible that everybody can provide financial support according to his or her capacity. By quoting the Qur’an Al-Nanawtawi wrote that Allah commands for both kinds of the jihad—with arms and with finance, and do not destroy yourself by hoarding the money while your brothers are in need. In dire conditions, spending money for the cause of Allah is compulsory and there is no maximum and minimum limit of this support, and those who still are not willing to spend the money they could face harms in both of the lives. Al-Nanawtawi’s original decree related to this war was published in several magazines and booklets at that time. The original manuscript is preserved at Mufti Allah Bakhsh Academy, Kandhla, Muzaffarnagar. This decree was conceived as a motivating factor for collecting financial and moral support to the Turkish army against Russians. Al-Nanawtawi has written this letter to Maulana Ahmad SaÑId. In this letter, he explained the importance of this jihad, need to support the Turks and especially financial support by collecting the money. All his arguments are from the point of Qur’an’s view and prophetic traditions. He commences his decree with the support of the Qur’anic verse and says that in situation of the aggression from the enemies jihad becomes eminent and according to the Qur’anic measurements it becomes compulsory to provide support to the mujahidin. Al-Nanawtawi wrote a very brief annotation in this epistle and described the verse of the Qur’an. Al-Nanawtawi explains in the light of the verse that despite necessity the people who do not emigrate from a state, which is a Dar al-Harb, they fall in the class of the infidels. Al-Nanawtawi gives further support to this argument from al-Tawbah and explains that such people who are no more in state of consociation, they are no more firm believers (mu’min).Furthermore, in desperate situation support of downtrodden people becomes deontic and obligatory. For fulfilling this deontological duty to follow the fundamentals of Iman and maintaining the state of consociation is compulsory. So in such a condition support to the mujahidin becomes deontological and obligatory. In case solidarity between infidelsagainst Islam, a consociation amongst Muslims is compulsory. It is also obligatory upon Muslims to stand firmly for protecting the sanctity of the holy shrines in Makkah and Madinah. Al-Nanawtawi counts three reasons for supporting Ottoman Empire and the Ottoman caliph. First reason is infidels’ expeditions against Muslims and the Qur’an advocates this support against the invaders, secondly, because Muslims seek support from other Muslims and thirdly, for protecting the sanctity of the Holy Shrines in Makkah and Madinah. Some of the opponents have questioned the nature of this war. Some people believed that this war was not a religious one (jihad Fi sabil Allah), it was merely a political war. Al-Nanawtawi answered their doubt. Other than Allah none knows the intentions of any one. If someone blames us that our prayers and fasts (Salat wa sawm) are for show (riya), how would we justify it? Similarly, none has the right to question the Jihad of Turk forces. If prayer (Salat)means to face towards qiblah and performing the actions of the prayers, thus, jihad means Muslims fight against infidels. If for jihad a sound intention is required similarly for Salat a good intention is also required. If the intentions of the Turks are not good, how is good your intentions? What is proof of the bad intentions of the Turks and how would you prove good intentions of yours?Furthermore, there is a hope of good reward from Allah on the payment to a non-Muslim architect of a mosque, so why will there not be a reward on the financial support to a mujahid, even suppose in his intention he is fighting for worldly benefits? By the efforts of an architect, the religion is served and the house of Allah is built. Similarly, a mujahid protects the religion and implications of his efforts remain long lasting which help protect the religion (din). Further to support his decree, Al-Nanawtawi wrote a comparison between few verses of the Holy Qur’an. Elaborating these verses, Al-Nanawtawi wrote that the most important compulsion upon a Muslim is to sacrifice his life, if it is not so, a Muslim must sacrifice his wealth and as per the least action a Muslim should donate some of his wealth to please his God. Al-Nanawtawi ends his decree by explaining that our life and wealth both are already of God. The verse, “they fight in the path of God”absolutely indicates the compulsion of fighting in the cause of Allah and avoiding it is just like denying a King on his public call for a special kind of support even the King is fully capable to protect his sovereignty without any outside support, but those who will defy King’s call will face the wrathof the King. Al-Nanawtawi’s political thinking brought massive and most significant impact on his most distinguished disciple Shaykh al-Hind Mahmoud Hasan. At the time of Sepoy’s Mutiny in 1857 Hasan was not in the contact of Al-Nanawtawi. But during the Russia-Turk war he closely watched and observed the activities of his teacher and other eminent Ulama. At that time Hasan was a young man, who was fully aware about the sentiments of his teacher. Later he could trace the roots of the political ideas of his teacher and contemporary Ulama, they were striving for independent cultural, political and social identities of Muslims not only in India but everywhere in the world. These thoughts, which were developing Hasan’s personality, played very important role in the future, they helped him to develop as an Islamic political leader and freedom fighter for India’s independence. In original sense Mahmoud Hasan did not inherit Al-Nanawtawi’s intellectual legacy only, but in true sense he was the original and the only interpreter of Al-Nanawtawi’s religio-political ideology. In the later age, India’s prime political leaders and freedom fighters got ideological strength from Mahmoud Hasan. The very prominent leaders like Ansari, Ajmal Khan, Muhammad Ali, and Abul Kalam Azad were influenced by Mahmoud Hasan. Among these political leaders, Ansari paid allegiance to him. The growing political tussle between the British regime and the Muslims in India and the Balkan war of 1912 provided an opportunity of the establishment of Nazarah al Ma’rif. This was an ideological training center with the aim of keeping alive the spirit of religious political ideas among Muslim youths. Al-Nanawtawi left such paradigms, which helped his successors to reinstate the political influence of Muslims in the later stage. It included rebuilding the confidence of Muslim community. After the fall of Delhi and failed mutiny of 1857, the aggressive British rulers got all kinds of superiority and advantages upon the conquered Muslim community. It has also changed the direction of British politics and diplomacy. According to the new policy of the new and colonial government, the last aggression was intellectual. It was decided now to defeat the Muslim community at intellectual level by raising questions on Islam’s viability and relevance.Al-Nanawtawi was proved the most significant pillar in the defense of Islam’s intellectual heritage. He also changed his strategy, instead of fighting with sword, he designed new policy and it was to counter the intellectual aggression of British forces against Islam and Muslims. In the new policy of Al-Nanawtawi and his colleagues, they suspended entirely political ambitions. They were of this opinion that any political effort now would bring more serious disaster to the Muslim intellectualism. For them it was now the most important priority to protect the Islamic faith and Muslim beliefs from the new policy of the Imperial British Government. In fact, Al-Nanawtawi was the last bearer of the legacy of Shah Wali Allah of Delhi. Al-Nanawtawi picked the essence of Shah Wali Allah’s cultural, social, political and religious thoughts and believed that Muslims cannot give up their right to rule the land of God. But the module of the governance of Muslims needs appropriate strategy and it is not merely diplomatic and political. He also observed that in the time of political suppression intellectual superiority, governed by a sublime Islamic ideology, should be maintained. At any rate, Muslims should never lose their link with their intellectual heritage; community’s connection with intellectual heritage is the best fight against social, political and cultural anomalies. According to Al-Nanawtawi’s belief political suppression is timely, while intellectual loss is most disastrous and dangerous; its impacts are long lasting. Al-Nanawtawi insisted on the changing nature of strategy and policy. He himself produced the paradigms of changes. His life is categorized with three different phases. The first phase of his life is full of political struggle, while in the second phase, he changed his policies and engaged in polemics with Christian and Hindu missionaries and in addition continued several revival movements. The third and the most successful phase of his life is the intellectual and academic revolution, for which he became most famous. But in all three phases of his life, Al-Nanawtawi always was struggling for Muslim political and intellectual superiority. Thus, the paradigms left by Al-Nanawtawi became footprints for his successors; they sporadically and permanently were engaged in different political movements. But none of his successors ever differed from the main maxim, which Al-Nanawtawi has set for them in the last stage of his life and it was Muslim inclination and absolute reversion towards religio-cultural heritage and it was preserved in the intellectual heritage of Islam. * Dr. Atif Suhail Siddiqui is the founder president of Deoband Institute of Islamic Thoguht. Akhtar Imam Adil, Tahaffuz-e Din ke Masa’i-e Jamilah- Mawlana Nanawtawi—Ahad awr Khidmat, in Hujjat al-Islam Imam Muhammad Qasim Al-Nanawtawi: Hayat, Afkar, Khidmat, (New Delhi: Tanzim Abna-e Qadim Dar al-Ulum Deoband, 2005), 114-115. Shams Tabriz Khan, Fikr-i Qasmi ke Chand Asasi Rujhanat, in Hujjat al-IslAm Imam Muhammad Qasim Al-Nanawtawi: Hayat, Afkar, Khidmat, 125. For detailed biography of Muhammad Qāsim Al-Nānawtawī see, Manazir Ahsan Gīlānī, Sawānh-i Qāsmī, (Deoband: Maktabah Dārul Ulum, 1383AH); Muhammad Ya’qub Nānawtawī, Hālāt Janāb-i Tayyab Mawlvī Muhammad Qāsim Sahab (Bhawalpur: Matba’ Sādiqul Anwār, AH 1297); Muhammad Anwrul Hasan Qāsmi, Anwār-i-Qāsmī, (Pakistan: Idārah Sa’diyah Mujaddadiyah, 1969) and Nur al-Hasan Rāshid Kāndhalwi, Qāsim al-Ulum HaÌrat Mawlānā Qāsim Nānawtawī: AÍwāl wa Óthār wa Bāqiyāt wa Muta’lliqāt, (Muzaffarnagar: Maktaba-E Noor, 2000). Nadim al-Wajidi, “Hazrat Mawlana Qāsim Nānawtawī ki fikri Basirat awr Dawr-i Hazir men uski Ma’nwiyat”, in Hujjat al-Islam Imam Muhammad Qasim Al-Nanawtawi: Hayat, Afkar, Khidmat, 135-136. Thana Bhawan is a small town in Muzaffarnagar District in the North Indian state of Uttar Pradesh around 120 km from Delhi. During 1857 war of independence Thana Bhawan became the center of strategy against British colonial forces which ultimately turned in the famous Battle of Shamli, which took place between the forces of Haji ImdAd Allah and Britain. See, Shaykh Muhammad Ikram, Tarikh-e Hindustan Mawj-e Kawthar, (Delhi: Adabi Dunya, n. d.), 196, Husayn Ahmad Madani, Naqsh-i Hayat,(Deoband), 43, Sayyid Muhammad Miyan, Ulema-I Hind ka Shandar Mazi, v. 4, (Karachi: Maktabah Rashidiyah, 1986), 281. A bullet hurt him, but the injury was not serious. It was recovered very soon. See, Muhammad Ya’qub Nānawtawī, Hālāt Janāb-i Ùayyab Mawlvī Muhammad Qāsim Sahab (Bhawalpur: MaÏbaÑ Øādiqul Anwār, AH 1297), in Nur, 202. Al-Nanawtawi here refers to the Messenger of God Muhammad (peace be upon him and mercy of God). The Holy Prophet went on hiding for three days in Thawr Cave enroute from Makkah to Madinah. See Manazir, v. 2, 173. ManāÐir, v. 2, 49. The arrest warrant remained effective until the British Government announced clemency against those who were declared rebels throughout the country. But Al-Nanawtawi’s name remained in the record of the British police, which always affected his activities. During the period of warrant, there were several police raids on possible hideouts. But Al-Nanawtawi could never be arrested. See, Muhammad Ya’qub Nānawtawī, in Nur, 202. Also his biographers, Manazir, Ya’qub and others have given accounts of the events how always Al-Nanawtawiescaped from the arrests despite sudden raids on his possible hideouts. There is an interesting and famous account mentioned about his escape from arrest in Masjid Chattah by his biographers, Al-Nanawtawi was standing in the mosque, suddenly one police officer entered the mosque who did not know Al-Nanawtawi by face. The police officer asked Al-Nanawtawi “Did you see Muhammad Qasim?” Al-Nanawtawi moved two-three steps behind from his place and replied to the police officer, “Yes, Muhammad Qasim was standing here and pointed out the place from where he moved a few steps.” The police officer did not ask any further question and left the mosque quickly. His biographers write that he never spoke lie and God saved him due to his piety and pious intentions. See, Ashiq Ilahi, Tadhkirah Al-Rashid,v. 1, (Saharanpur: Kutub Khanah Isha’at al-Ulum, 2014), 120, Manazir, v. 2, 176-177. Al-Nanawtawi’s colleague Rashid Ahmad Gangohi writes that, “I was arrested because before the battle of Shamli I was confused and Al-Nanawtawi was never arrested because he was fully confident before the battle, God helped him because he was fully relying on the support from Allah.” See, Akhtar,116. Imdad was the most revered personality of his time. His fame was due to his piety, which attracted thousands of common people and hundreds of contemporary eminent Ulema. They all paid allegiance to him. According to Al-Nanawtawi’s biographer, nobody could dare to oppose his name as the Chief, because he was fulfilling all the conditions, which a person requires for appointing as a Chief of the Believers. Thus, without any opposition all opponents of the battle of Shamli agreed to pay the allegiance to Imdad and agreed upon his leadership. See, Manazir, v. 2, 125-126. Ashiq, Tadhkirah Al-Rashid, v. 1, 114. Muhammad Salim Qasmi, “Al-Imam Muhammad Qasim Al-Nanawtawi ki Shakhsiyat ke imtiyazi pahlu”, in Hujjat al-IslAm Imam Muhammad Qasim Al-Nanawtawi: Hayat, Afkar, Khidmat,71-72. During the battle of Shamli Al-Nanawtawi was the young man of 25, his parents had not also reached to this age that they needed his services. His parents also not crossed age of 45, their health was absolutely fine, and his parents used to work themselves without any support and help. In this report the letters from Al-Nanawtawi and the officials including Prime Minister of Ottoman Empire are described. This report is a fine example of how Al-Nanawtawi, his disciples and his colleagues were engaged in a conversation with the high officials of Ottoman Empire and in what manner the Ottoman Empire acknowledged this support. See, Rudad Chandah-i Balqan, (Meerut: Matba’ Hashmi, 1294 A. H.), 1-5. Through Rashid Ahmad Gangohi three installments of amount comprising of 784 Rupees, 87.5 Rupees and 200.25 Rupees were delivered to the Consulate of Ottoman Empire in Bombay, while Ahmad Ali of Saharanpur delivered total amount of 4230 Rupees in five installments. This receipt of amount was published in a report by the Consulate of Ottoman Empire, See, Daftar A’anat-i Hindiyah, (Bombay: Consulate of Turkish Empire in India, n. d.), 1-161; See also Nur, 103. The comparative value of the currency in the 80s of 19th century and first decade of 21st century is highly different. Now this amount is equal to more than 100 million rupees. See, Nur, 104. Al-JawA’Ib was the official weekly mouthpiece of Ottoman Empire, which used to be published from Bab-i Aali (the administrative town or block of the Ottoman Empire). The first publication began in 1860. Few copies of Al-Jawa’ib are preserved in the library of Nadwatul Ulema, Lucknow, India. Sayyid Asghar Husayn, HayAt-i Shaykh al-Hind, (Lahore: Idarah Islamiyit, 1977), 22. Ashiq, Tadhkirah al-Rashid, v. 1, (Deoband), 229. Qur’an, (8: 72; 9: 38). Al-Nanawtawi, Maktub ba silsilah-i Jang Rus wa Turki, (1294 AH),see in Nur, 149-150. Sayyid Muhammad Miyan, Ulema-i Haq awr unke Mujahidanah Karname, v. 1, (Deoand: Faisal Publications, 2003), 93. Miyan, Safarnamah Asiran-e Malta, (Deoband: Kutub Khanah Na’imiyah, 2002), 73. Abdullah Yusuf Ali, The Meaning of the Holy Qur’an, (5:8). Punjab and Sind, Miss NSS, 249, see in Nasim Ahmad Qasmi, “Hujjat al-Islam Mawlana Muhammad Qasim Al-Nanawtawi, Khidmat awr Karnamay”, in Hujjat al-IslAm Imam Muhammad Qasim Al-Nanawtawi: Hayat, AfkAr, Khidmat,107. Fayd aI-Bari ‘ala Sahih al-Bukhari is a commentary on al-Jami’ al-Sahih of Imam al-Bukhari in the Arabic language and was compiled from the dictations and lecture notes of ‘Allamah Anwar Shah Kashmiri (hereinafter referred to as Shah Sahib) by one of his students, namely, Mawlana Badr ‘Alam Mirathi. Mawlana Badr ‘Alam Mirathi was born in Bidayu in 1898 in South India. In 1947 he migrated to Pakistan and a few years later he migrated to Madinah, Saudi Arabia, where he passed away in 1965. At the age of 14, Mawlana Badr ‘Alam Mirathi was admitted as a student at Mazahir al-‘Ulum in Saharanpur, U.P., India. He qualified as an ‘alim in 1918 and taught in Saharanpur for two years. In 1920, he enrolled at Dar al-‘Ulum Deoband in order to specialize in hadith. He spent four years at that institution as a student of Shah Sahib. In 1927 when Shah Sahib moved from Deoband to Dhabel, Mawlana Badr ‘Alam Mirathi also moved to Dhabel where he spent five years teaching. While he was engaged in teaching, he enrolled as a student of Shah Sahib. It was during that period that he undertook to write down the dictations of Shah Sahib’s commentary on al-Jami’ al-Sahih of Imam al-Bukhari. Mawlana Badr ‘Alam Mirathi requested Shah Sahib to revise the dictations which were in manuscript form. The manuscript was titled Fayd aI-Bari ‘ala Sahih al-Bukhari and was later published by Matba’ah al-Hijazi in Cairo under the auspices of Majlis ‘Ilmi in Arabic. Its first volume consists of a lengthy introduction, which deals with the biography of Shah Sahib and notes on al-isnad (chain of narrators) by Mawlana Muhammad Yusuf Binnuri. It also includes a biography of Imam al-Bukhari and the special characteristics of Imam al-Bukhari’s hadith compilation and other related issues. For example, the total number of hadith recorded in it, and under what conditions it was compiled, etc are discussed. This work gives extensive coverage to Tarjumat al-Abwab (explanation of the chapter headings) in order to acquaint the reader with the relationship that exists between the headings of the chapters and the hadith contained in them. The subject of ‘aqa’id (beliefs) is also discussed in great detail so as to impress upon the reader the need for one to have the correct belief as a Muslim. “AI-Humaydi ‘Abd Allah Ibn al-Zubayr reported on the authority of Sufyan who reported on the authority of Yahya Ibn Sa’id al-Ansari who reported on the authority of Muhammad ibn Ihrahim al-Taymi who said that he heard ‘Alqamah bin Waqqas al-Laythi say that he heard ‘Umar Ibn al-Khattab (Allah be pleased with him) say from the pulpit…” In Fayd aI-Bari, al-Humaydi is identified as the teacher of Imam al-Bukhari whose name was in fact ‘Abd Allah Ibn al-Zubayr who died in 219 Hijri. Sufyan is said to be the famous muhaddith (hadith scholar) Sufyan Ibn Uyaynah who was the student of Imam Ahmad Ibn Hanbal. Yahya Ibn Sa’id al-Ansari is identified as the son al-Qays who died in 198 Hijri and was the teacher of both Imams Abu Hanifah and Awza’i. Certain omissions of Imam al-Bukhari are also highlighted. For example, it is pointed out that Imam al-Bukhari should have included under the chapter titled as ﺑﺎﺏ ﺍﻟﺴِّﻮَﺍﻙِ all the ahadith that pertain to siwak (brushing of the teeth with a tooth-brush in the form of a pencil from the root of a special type of tree known as the Arak tree). Imam al-Bukhari, on the other hand, chose to include the ahadith on siwak at two different places, namely in ﻛﺘﺎﺏ ﺍﻟﻮﺿﻮﺀ (The Book of Ablution) and ﻛﺘﺎﺏ ﺍﻟﺠﻤﻌﺔ (The Book of Friday). An effort has also been made to extrapolate a fiqhi (legal) ruling, wherever possible, from some of the subjects that have been tackled in al-Jami’ al-Sahih of Imam al-Bukhari. For example, under ﻛﺘﺎﺏ ﺍﻟﻮﺿﻮﺀ (The Book on Ablution), there is a chapter which is entitled: ﺑﺎﺏ ﺍﻟﺘَّﺴْﻤِﻴَﺔِ ﻋَﻠَﻰ ﻛُﻞِّ ﺣَﺎﻝٍ (Chapter: To Recite “In the Name of Allah” During Every Action…) Commenting on whether it is compulsory to mention the tasmiyyah (the Name of Allah) at the time of performing the ablution, it is mentioned that Shah Sahib was of the view that it is not wajib (compulsory) to do so and that his view was in conformity with all the Imams of the Schools of Islamic Jurisprudence except Imam Ahmad ibn Hanbal. Likewise, Shah Sahib went further to explain that amongst the Hanafi scholars, only Ibn Humman, the author of Fath al-Qadir, was of the view that the tasmiyyah is a compulsory component for the ablution to become valid. Shah Sahib was inclined to believe that Imam al-Bukhari also held that view. It is in the Arabic language and this makes it inaccessible to the vast majority of lay Muslims. In other words, only Muslim scholars and others who have mastered the Arabic language may derive any benefit from it. The original text of al-Jami’ al-Sahih of Imam al-Bukhari has not been included in Fayd aI-Bari and hence for the reader to be in a position to make sense of the commentary, he/she would have to have a copy of the hadith compilation of Imam al-Bukhari at hand. This makes it cumbersome for the reader to refer to both works simultaneously. The author of Fayd aI-Bari has not included, in some instances, the full title of the chapters and this may result in the reader not being able to grasp the full import of the commentary. For example, on page 79 the title of the chapter is mentioned as: ﺑﺎﺏ ﺍﻟْﻤُﺴْﻠِﻢُ instead of: ﺑﺎﺏ ﺍﻟْﻤُﺴْﻠِﻢُ ﻣَﻦْ ﺳَﻠِﻢَ ﺍﻟْﻤُﺴْﻠِﻤُﻮﻥَ ﻣِﻦْ ﻟِﺴَﺎﻧِﻪِ ﻭَﻳَﺪِﻩِ. Al-Sayyid Muhammad al-Hasan ibn Alawi ibn Abbas ibn Abd al-Aziz al-Maliki (1947 – 2004) rahimahullah has authored a book “Mafahim Yajib ‘an Tusahhah”. The subject of this book is to validate from Qur’an & Hadith some controversial issues that are practiced in certain Muslim communities (especially those with strong sufi affiliations) but have been very severely critized by the Salafi scholars of Saudi Arabia. This book was translated into Urdu language and published as “Islah e Mafaheem”, by individuals having close relations with Hadhrat Sufi Mohammad Iqbal sahib. Hadhrat Sufi sahib’s initial baiyat was with Mawlana Khair Mohammad Jalandhuri (rahimahullah) and afterwards with Hadrat Sheikhul Hadith Mawlana Zakariya (rahimahullah). Both of them were outstanding ahle sunnah scholars of Deobandi heritage. However, after his migration to Madinah e Munawwara Hadhrat Sufi sahib (rahimahullah) became very close to Shaykh Alawi (rahimahullah). Shaykh Alawi Maliki (rahimahullah) personally visited Pakistan and requested prominent contemporary scholars to write introduction to this urdu translation. Among them were Mawlana Abdul Qayoom Haqqani and Mawlana Malik Khandhlawi (rahimahullah). The publication of Urdu translation in Pakistan raised an uproar in the Deobandi community. As a matter of fact the content of this book were totally against the Deobandi minhaj. Most of the Deobandi scholars did not agree with the author’s claim. Being crystal clear, for them it was not an issue to go into further discussions. However, for the common, Urdu reading, lay public, who could have been easily misled by this book articles were written to clearify the issue. 1.	Review of “Islahae Mafaheem”. By Mufti Abdus Sattar (rahimahullah), chief-mufti Khairul madaris, Multan, & president of the Islamic research Council. Various prominent Deobandi scholars endorsed it. 3. Book review in monthly Al-Balagh (Urdu), by Mufti Taqi Usmani sahib. Published in Tabseray (new edition). 4. Tehqiqi nazar, by Hadhrat Mawlana Ismail Badat sahib of Madinah e Munawwarah, khalifa of Hadhrat Sheikhul hadith Mawlana Zakariya sahib (rahimahullah). This is the most detailed one. Knowing the details and fiqhi incorrectness of this book most of the introducers (who were alive) withdrew their recommendations. Some of the people who were involved in its publication repented and acknowledged their mistake in written and public speeches. However, the book is still available in the market. Several months ago, Pearls of the Elders received an email from a Mauritanian student of the Sacred Sciences who expressed admiration and love for the ‘ulama of Deoband. In a subsequent email, he sent a fascinating account of how the erudite ‘ulama of Mauritania had come to know of the ‘ulama of Deoband and how they had benefited from them, especially their books. The student, who asked his name not be published, became acquainted with the writings of the blessed scholars of India and Pakistan through the effort of tabligh. With his permission, Pearls would like to share this email with our readers and hope it will be a means of kindling the love of, and respect for, the ‘ulama of Deoband. The email has been edited to make it suitable for a wider readership. Translations of Arabic words, relevant footnotes and subheadings have also been added. I wanted to take some time out to write this because it is an important subject. I was first introduced to the Deobandi ‘ulama through the effort of tabligh when I was in the USA. I lived there from 1996 to 2004. Obviously, I benefited greatly from the elders of tabligh. From an academic perspective though, it was from Hadhrat Shaykh Zakariyya Kandhlawi’s writings that I benefited the most. These include the books of fadha’il, the English translation of his commentary of Shama’il al-Tirmidhi and his autobiography, Aap Beti, which I have read several times and greatly benefited from. I often tell my close friends that people who have children — as well as people who wish to understand how important it is to be associated with the mashayikh of tasawwuf — must read Aap Beti. Sometimes our brothers fail to realise how much Mawlana Ilyas Kandhlawi (rahimahullah) and Mawlana Yusuf Kandhlawi (rahimahullah) relied on Hadhrat Shaykh Zakariyya (rahimahullah) to advance the effort of tabligh. Understanding this would help the brothers associate themselves more assiduously to the ‘ulama; our elders still insist on this in their lectures. We ask Allah for tawfeeq. Mauritania is a very poor country and the ‘ulama here, for the most part, have remained in the country. A few have had the opportunity to travel and bring books back from countries such as Egypt and Morocco. Of course, a couple of hundred years ago, printing did not exist so certain books were copied on manuscripts etc. The teaching style in Mauritania is very different from other parts of the world. Generally it is based on memorising a matn (text) on a subject in the form of a nadhm (rhyming verses). The explanations and details of the texts are taken from the shaykh and his competent students. For example, in nahw (Arabic grammar), the Alfiyyah of Ibn Malik (rahimahullah) is taught. In usul (principles of fiqh) it is the Kawkab of Imam Al-Suyuti (rahimahullah), or the Maraqi al-Sud of the Mauritanian scholar, Al-’Alawi (rahimahullah). Classical books and their commentaries on different subjects were brought to the country by those ‘ulama who travelled abroad. Books written by Deobandi ‘ulama were introduced to our native Mauritanian ‘ulama very recently; I would say, in the past 20 to 30 years. The ‘ulama who have travelled abroad during the period when the works of some prominent Deobandi ‘ulama had been published did get access to them and benefited from them, as is evident by some of them quoting from their works. One example is Shaykh Muhammad Habibullah al-Mayyaba (rahimahullah) who passed away in 1944. He was a great ‘alim and hafidh of hadith. It is said that he had memorised the six mutun (texts) of hadith with their sanad (chains of narration). He also wrote a nadhm on the importance of the Mu’atta [of Imam Malik] and a short commentary on it in which he repeatedly quotes from Shah Waliullah Dehlawi (rahimahullah). I intend to further question some of our ‘ulama on how our elders have benefited from Indo-Pak ‘ulama and vice versa. As you know, Al-Haramayan al-Sharifayn used to be a place where ‘ulama would meet and take from each other. For instance, Mawlana Khalil Ahmad Saharanpuri (rahimahullah) had an ijazah in hadith from Ibn Dahlan (rahimahullah), who resided in Makkah al-Mukarramah. As far as contemporary Mauritanian ‘ulama are concerned, the ones I know here have benefited from Awjaz al-Masalik in ways that cannot be described. Hadhrat Shaykh’s (rahimahullah) work can be most greatly appreciated by one who has studied fiqh, usul and Arabic in-depth; and alhamdulillah, these subjects are studied and mastered by the Mauritanian ‘ulama, hence their appreciation of the book to its fullest. This book is more so beneficial given that writings on hadith from our ‘ulama are very rare. Shaykh Muhammad Habibullah (rahimahullah) has written a commentary of Bukhari and Muslim (Zad al-Muslim fi ma Ittafaqa ‘alayhi al-Bukhari wa Muslim). His brother has also written a commentary of Bukhari, and al-’Alawi (rahimahullah) has compiled a nadhm on the terminology of hadith (mustalah al-hadith), which is a summary of the Alfiyya al-’Iraqi. Hadith is studied in Mauritania on an individual basis. After a student has studied fiqh, nahw, mustalah of hadith, and balaghah and bayan (rhetoric), they have enough knowledge to study hadith through their own reading of the commentaries. One interesting thing to note is that Hadhrat Shaykh (rahimahullah) has quoted from the mu’tamad (relied upon) books of the different madhhabs in Awjaz al-Masalik and relied on them for giving the mashhur (well-known) opinion on a given madhhab. This means that when a Maliki ‘alim reads Awjaz al-Masalik, he sees the evidences for the Maliki madhhab as he knows it from his long years of study as well as being able to benefit from Hadhrat Shaykh’s (rahimahullah) commentary on other aspects of the hadith. Hadhrat Mawlana Khalil Ahmad Saharanpuri’s (rahimahullah) Badhl al-Majhud. Another more recent and more obvious example of the benefit derived from the mashayikh of Deoband is Mawlana Khalil Ahmad Saharanpuri (rahimahullah)’s Badhl al-Majhud. For us who know Shaykh Muhammad Hassan, this means a thousand words. At the time when I gifted him the book and told him about Mawlana Khalil Ahmad, he said: “The ‘ulama of India are ‘ajeeb (wonderful), they are very strong Sunnis in their ‘aqidah (creed)”. Sorry, I’m making this email long, but the subject deserves it. Insha-Allah I hope we can exchange correspondence in the future. We have several books written by our ‘ulama here that may be of interest to your ‘ulama, and we’ll be happy to send copies. I can give you a list of the books and the subjects they deal with, or if there is a specific subject some are interested in you can send me that and I will tell you what we have available. May Allah Almighty accept your efforts and please remember us in your du’a. Also, we’ll be happy to receive you as a guest for a short visit. There are three to four places here that are really worth visiting to meet the ‘ulama. Hadhrat Shaykh Zakariyya’s brilliant books of fadha’il — originally written in Urdu, and translated into several languages, including English, French, Persian, Gujarati and Bengali — consist of selected verses of the Qur’an, hadiths, their commentary and other material. The books are read globally and consist of: Stories of the Sahabah, Virtues of Salah, Virtues of the Qur’an, Virtues of Remembering Allah, Virtues of the Holy Month of Ramadan, Virtues of Invitation and Preaching, Virtues of Sending Salutations, Virtues of Charity and Virtues of Haj. Awjaz al-Masaalik is a multi-voluminous commentary of Imam Malik’s Mu’atta, authored by Hadhrat Shaykh. It has recently been researched under the supervision of Shaykh Taqiuddin Nadwi, a student of Hadhrat Shaykh, and republished in 18 large volumes by Dar al-Qalam in Damascus. Badhl al-Majhud is also a multi-voluminous commentary of Imam Abu Dawud’s Sunan; it was also recently researched and republished in 14 large volumes by Shaykh Taqiuddin and published by Dar al-Basha’ir al-Islamiyyah in Beirut. Shaykh Muhammad al-Hasan ibn Ahmad al-Khadim is one of the most senior ‘ulama of Mauritania. Extremely pious and humble, the shaykh is a master in every field of the Islamic sciences, without exception. He is also the only Mauritanian scholar who has so many published works to his name (over 30), having written books on fiqh, usul al-fiqh, usul al-hadith and tasawwuf. Among his published works is a commentary on the Alfiyyah of Imam Suyuti (rahimahullah) in usul al-hadith, a commentary on the Nadhm of Jam’ al-Jawami’ of Imam Suyuti (rahimahullah) in usul al-fiqh, a commentary on the Nadhm of Imam al-Kafaf (rahimahullah) in Maliki fiqh and numerous books on tasawwuf. He is also a senior Sufi shaykh of the Tijani tariqah and very strict in following the Sunnah and wary of bid’ah (innovation). The Shaykh also has great love for the ‘ulama of India and has great admiration for their service to hadith as can be noted from the above.